Jack Nicklaus has backed Tiger Woods to eclipse his major championship winning record despite admitting he thought the 42-year-old's career was over after spinal fusion surgery last year. 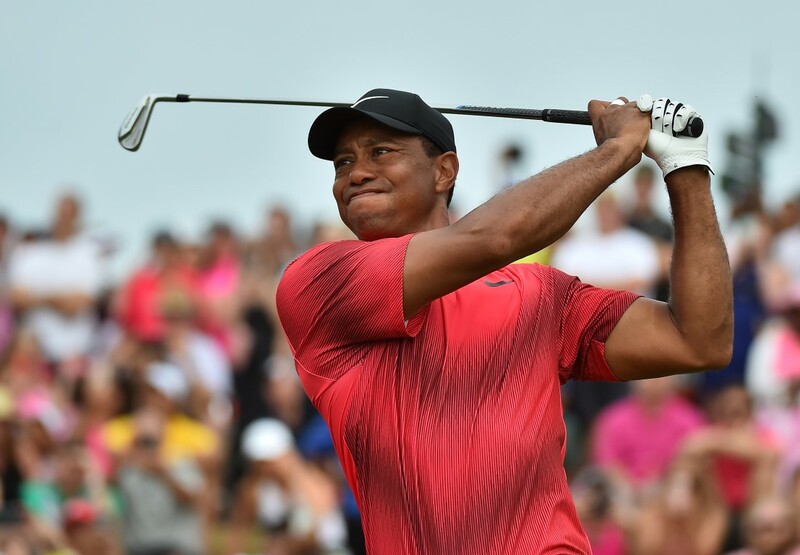 The 18-time major winner Nicklaus has been impressed with Woods' comeback this year, which has featured two top-five results and a share of 11th at the recent Players Championship. The 78-year-old Nicklaus believes the door is still open for Woods to improve on his tally of 14 majors. "He is a tough competitor, he's a hard worker and he's still driven, that's why I've never counted him out," Nicklaus said this week. "I still think he's got a shot at breaking my record. "The US Open is in a couple weeks ...Shinnecock (Hills) should be a good course for him. "I think Tiger will be in contention for quite a while and he will win when he believes it himself." Nicklaus acknowledged the gravity of his claim, given it was only 12 months ago that he thought Woods' career was over. Woods underwent spinal fusion surgery which kick-started another spectacular fall from grace. "I never thought he would play again after the fusion,"" Nicklaus said. "I'm not a doctor but I never dreamed you could fuse somebody and they could go play golf. It's amazing." While recovering, Woods was arrested on DUI charges in May when police found him asleep at the wheel of a car in Florida. The incident evoked memories of Woods' scandalous 2009 season, when a series of extra-marital affairs became public and engulfed his career. But Woods completed 'intensive' rehab in July last year for an addiction to medication prescribed for his back pain. "I don't think Tiger's had a lot of fun the last 10 years; I would hate to have been through what he's been through, because he's been through a lot," Nicklaus said. "Addiction can happen to anyone, (especially) with all the meds he had for pain. "(He has) come back from that and got his game and his life in shape, quickly." Woods' last win came at the 2013 WGC-Bridgestone Invitational, but Nicklaus believes that drought could end this week at Muirfield Village in Ohio. Woods returns to the Nicklaus-hosted Memorial Tournament for the first time since 2015, where he owns an astonishing record. He won each edition from 1999 to 2001, becoming the 42-year-old tournament's only title defender, before adding two more titles in 2009 and 2012. However, Nicklaus concedes the 79-time US PGA Tour winner needs to learn how to win again. "Absolutely; he has got to get through the barrier of not having done it for a while," Nicklaus said. "But a guy that's as good as he is will break through. "I wouldn't be a bit surprised to see Tiger win this week; what he's done here will come back into his head."